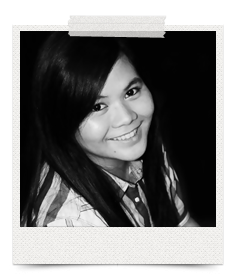 This is actually my fourth official attempt to have a blog and I hope I could be able to maintain it. Though I'm not really good on composing entries, I really find it comforting in a way. I was once a feature writer in our school paper in high school, but I did not really enjoyed it that much or I did not actually tried to enjoy it that well, making it something more of a requirement, something demanding in a way, rather than enjoyable and pleasurable writing. I really love to write things. I'm really more of a writer than a speaker. I can't really express myself fully verbally, but in writing, I somehow can. 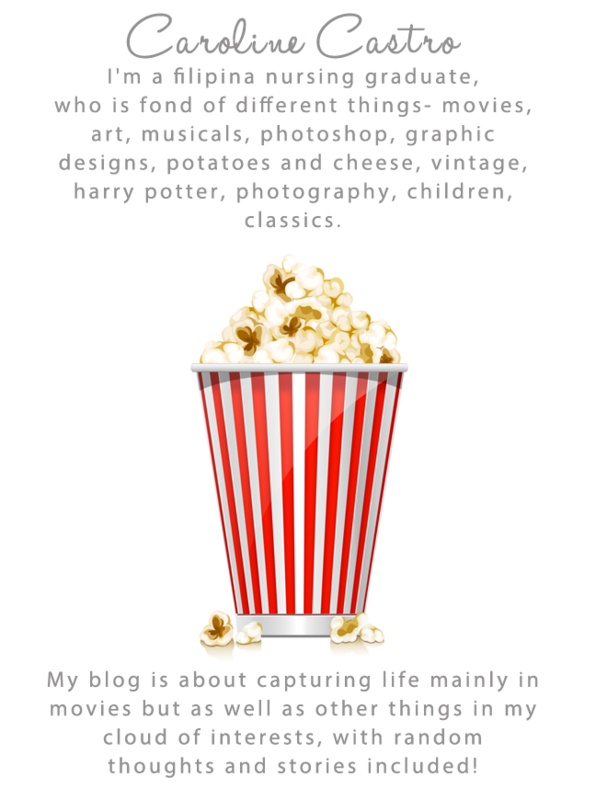 I decided to make my blog more on about movies, since I really love movies and with them I'm really able to explore my feelings about a lot of things. They enable me to make self-realizations on different matters of life. I also like this blog to be more me, so brace your selves for more boring things. 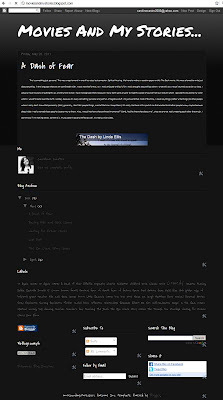 Black theme. 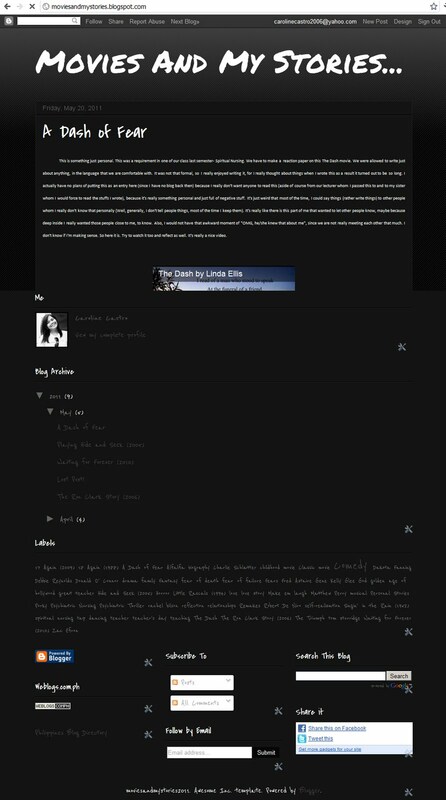 I kept my blog more in shades of white, gray and black. Just bare, plain and simple. Not so happy but stable in a way, as I interpret it. Maybe soon, I'd change it to something to colorful and customized, but for now, that would be it. One Successful Flashmob Surprise Wedding! From Multiply to Blogger: ravetrukeeper? Excited to watch the Phantom of the Opera! Dinosaurs Island in the Philippines! Caroline Castro | MoviesandmyStories. Powered by Blogger.